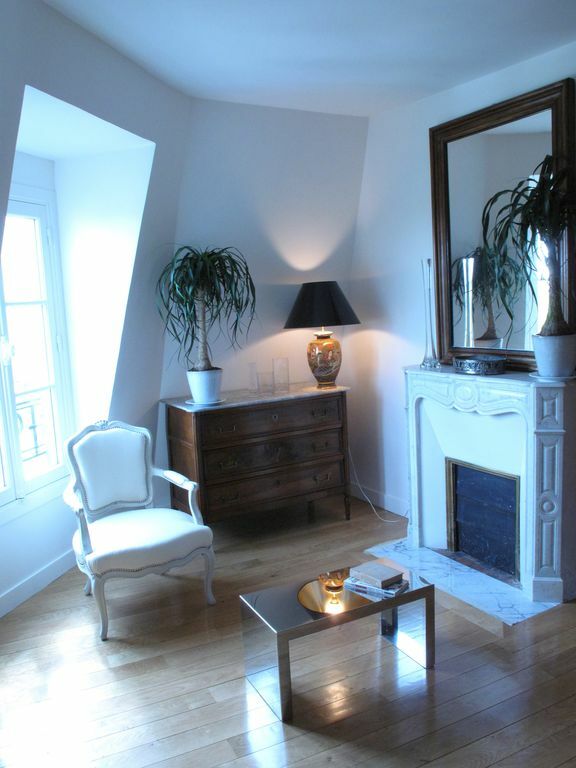 3 mn walk to the Eiffel tower and 6 to rue Cler, my 6th floor (WITH ELEVATOR), stunning, two-room designer apartment is AIR CONDITIONED (a rarity in Paris apartments). 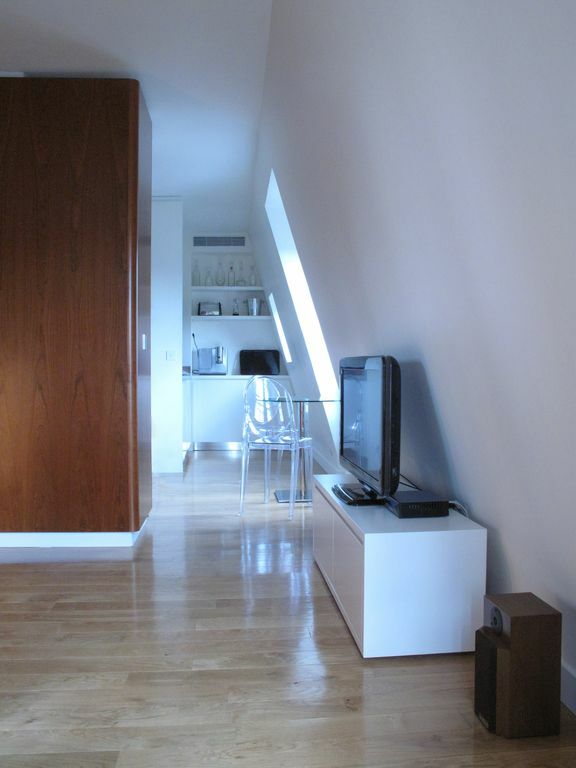 Remodeled and renovated in 2009 under the supervision of the Italian architect Leoterio BERELLINI, this 30 m² (323 square ft) flat offers the warmth of wood and the modernity of the 21st century. 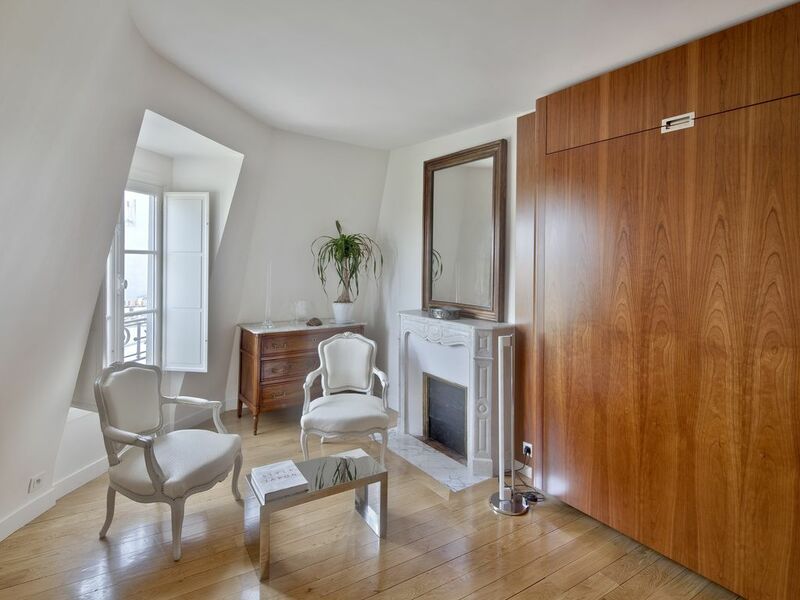 Upon entering the light rooms which feature blond solid oak parquet floor go directly to the PEDRALI round clear glass and chrome table, sit down on a Victoria ghost Philippe STARCK chair and look out the double glazed French window. 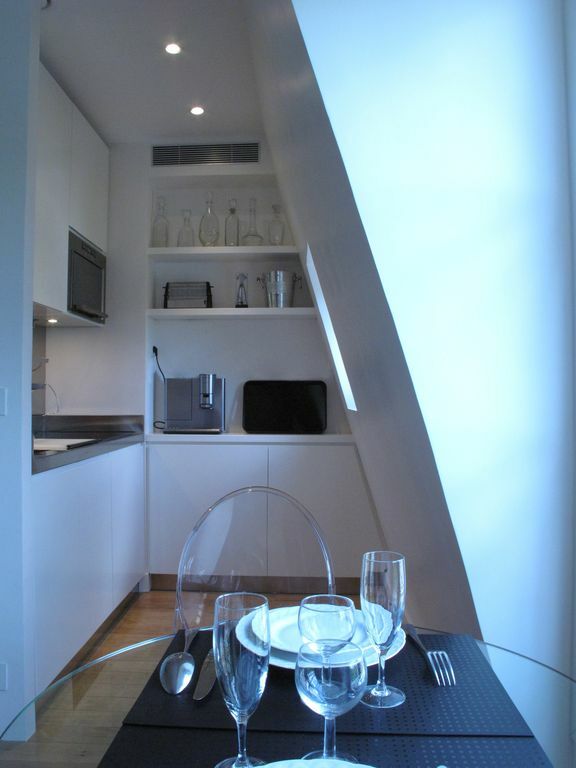 Above the typical Paris tin roofing, you have an amazing view of the Eiffel tower, from first level to the 324 m high top. 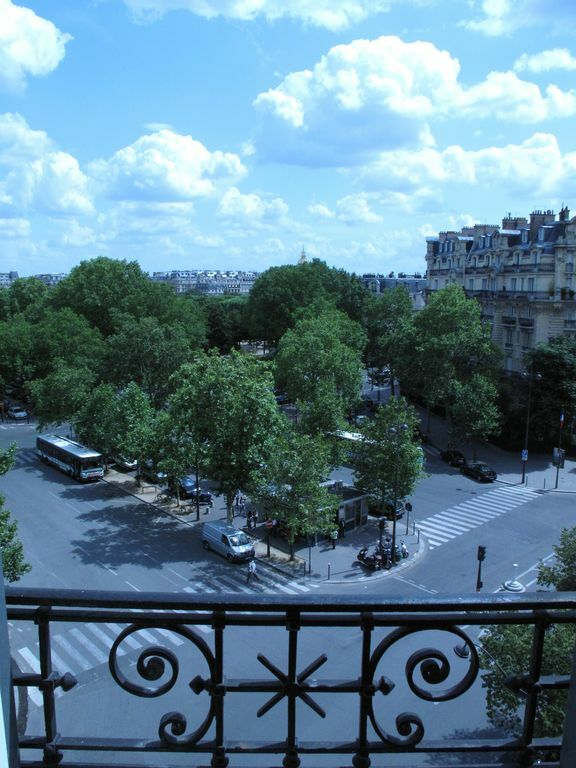 Look to your right and you will see the trees of the “Jardin du Champs de Mars” and in the distance the “Sacré Coeur” of Montmartre. 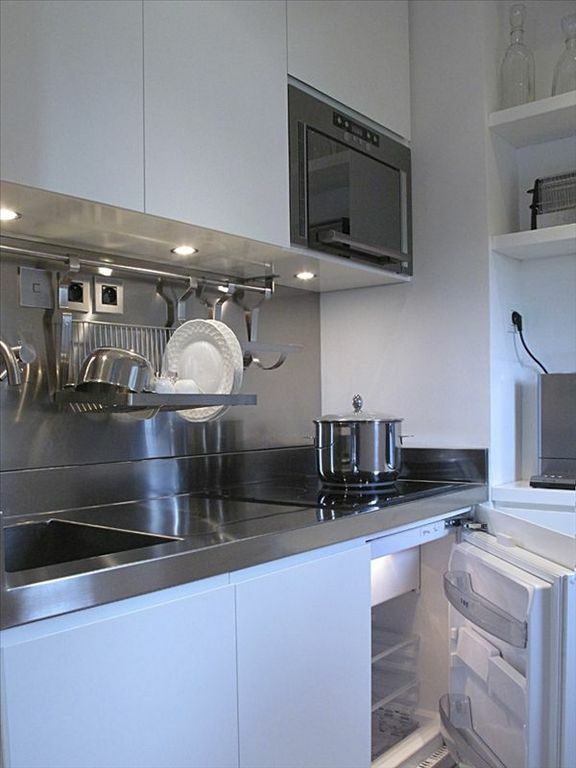 From where you are you can see the functional kitchen with brushed stainless steel countertops and sink, white lacquer cupboard doors hiding the under-the-counter refrigerator / deep freezer, white Limoges china, champagne glasses, shiny stainless steel steam cooker, spaghetti pot and coated fry pans. The induction hob and multi combination microwave oven, tea & espresso machine, toaster, to cook a delicious breakfast and romantic and tasty meals. 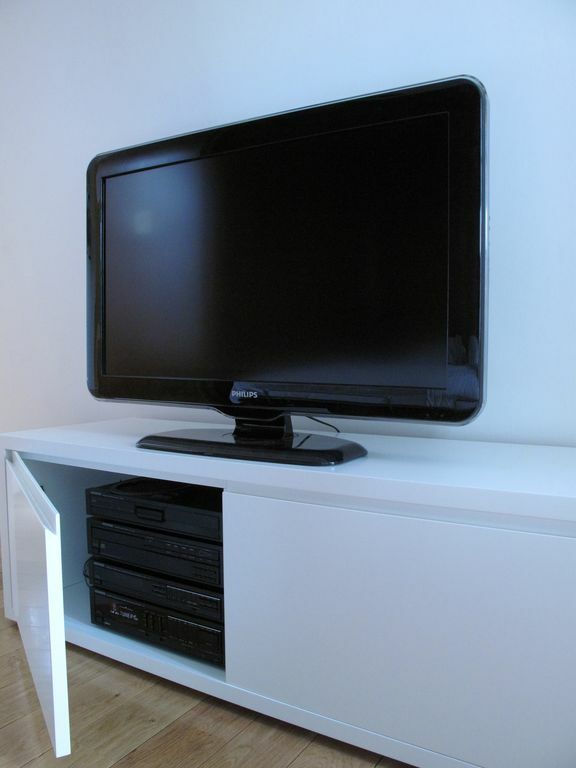 On your left is a wooden desk with two drawers, a cordless telephone to make your free (land lines & cell. phones) calls home or restaurant reservations…, the box with an unlimited free high-speed internet Wi-Fi connection. On the shelves are precious art books, a selection of handbooks to guide you as you discover the City of Light and live in Paris as a Parisian. 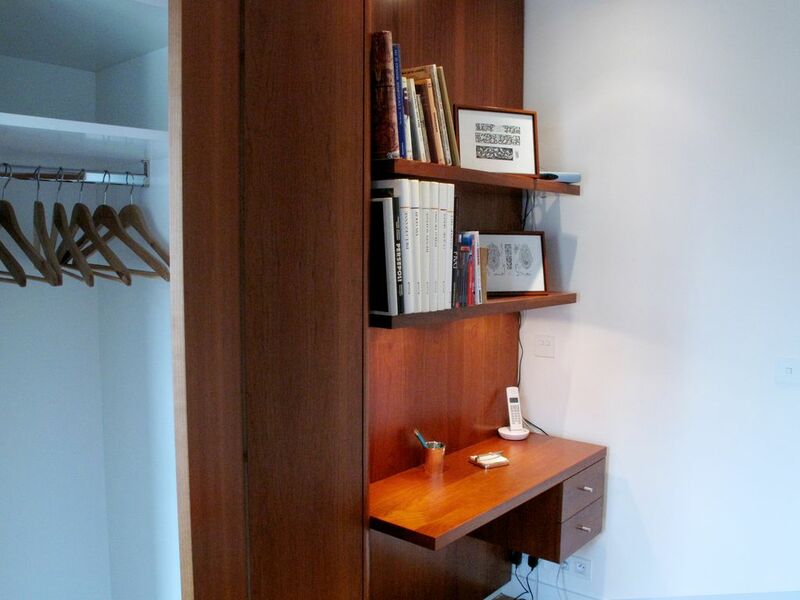 The warm cherry wood paneling conceals a large wardrobe. On the wall, lit by a Northern Lighting tripod lamp by Louis POULSEN, 19th century engravings show architectural details. Behind the door is the bathroom, with pietra serena type floor, small light grey tile mosaic on the walls and inside the shower stall. 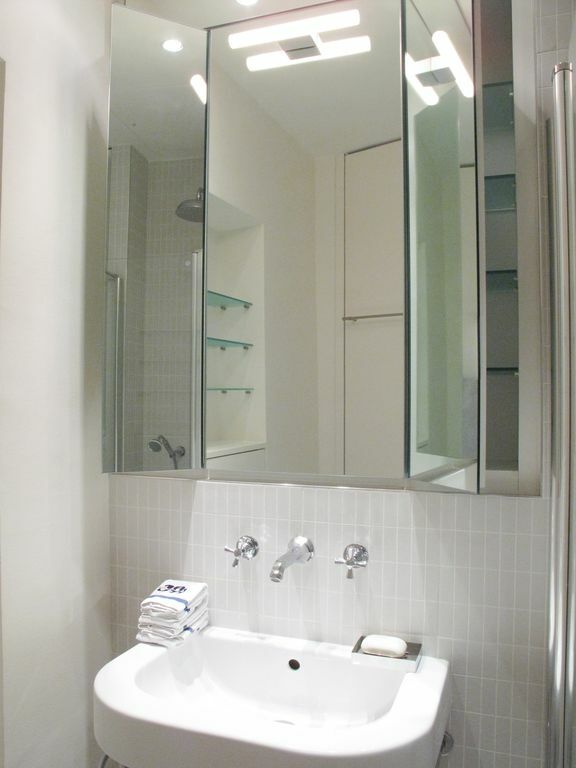 Above the sink, a large triptych mirror conceals shelves, electric socket and blow-dryer. 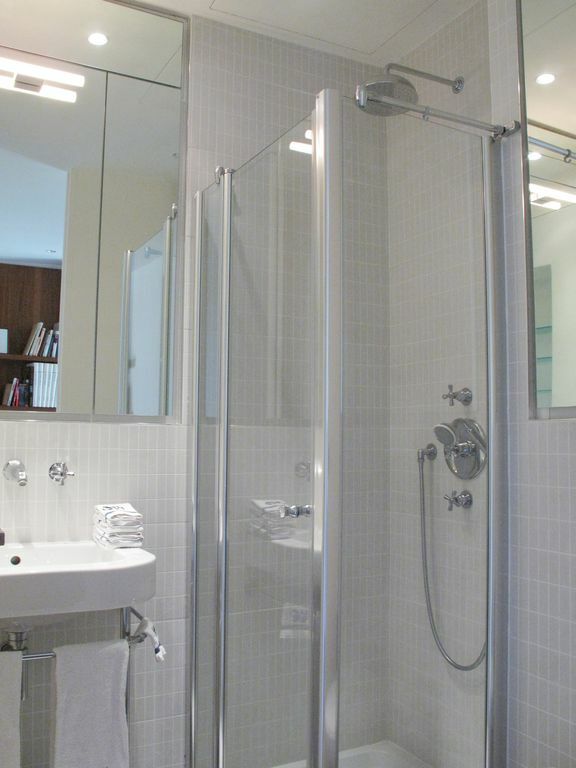 Under the sink and hanging on the door are André COUREGE 100 % cotton bath towels, towels, hand towels and face mitts. It is from the second room that you can truly appreciate the work of the Italian architect Leoterio BERELLINI. 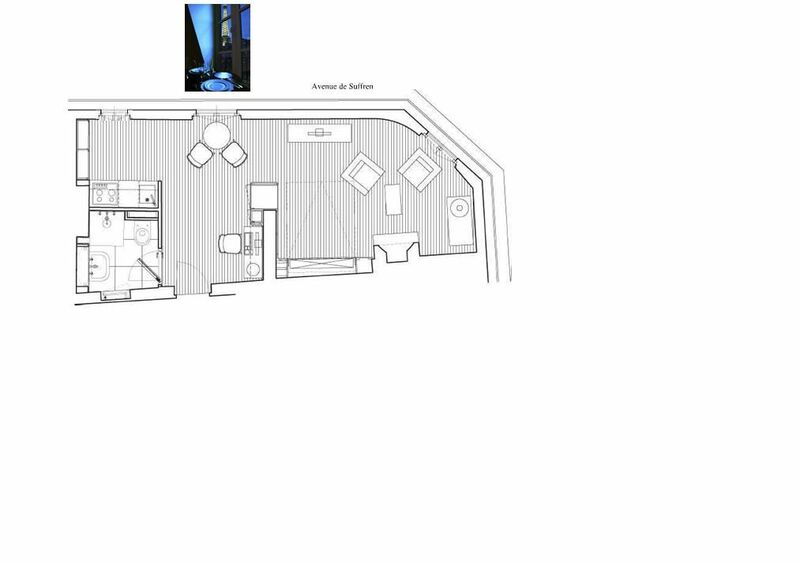 The design and layout will give you the impression of space. Nothing blocks your view to the end of the apartment, as perspective and fluidity hide the technical part of the kitchen. In the living room, there is an antique Louis XVI chest of drawers with marble top next to the Louis XV Carrara marble fireplace surmounted by a large mirror. 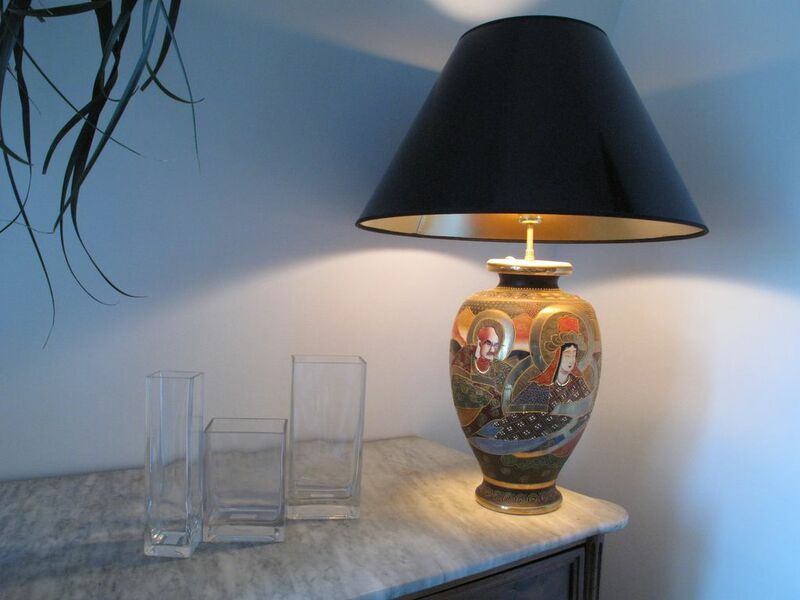 Thanks to a dimmer, the 19th Century Japanese Satsuma cloisonné lamp provides a warm light. Sit on one of the two comfortable “modernized” Louis XV armchair, put down your drink on the mirror-polished stainless steel table, designed by Maurizio PEREGALLI for ZEUS, to watch your choice of English speaking channels on the large flat screen TV or your own blue ray DVD. 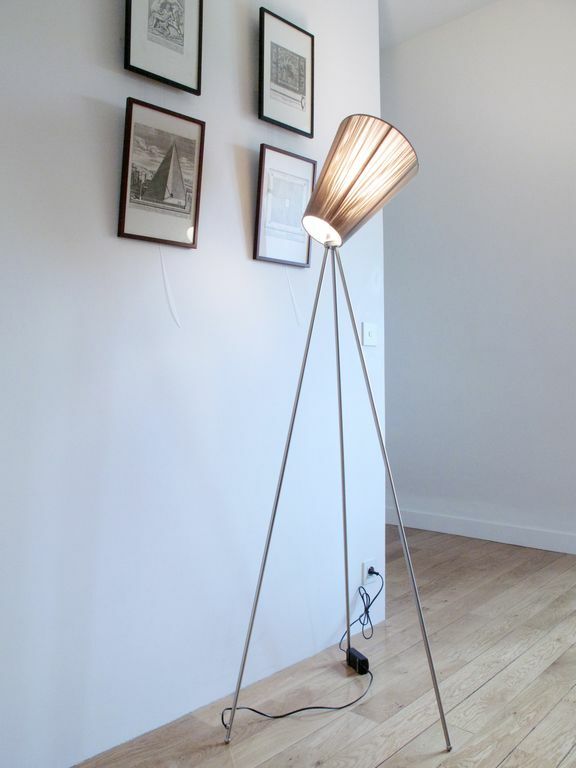 Or, under the Eileen GREY tube light, prepare your itinerary for the next day while listening to your favorite music on the stereo. 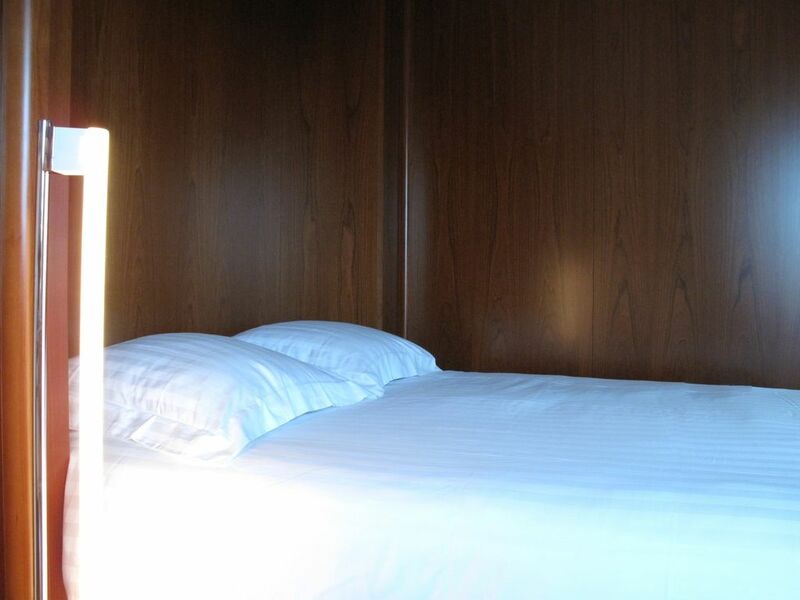 When you are tired, grab the chromed handle to open the queen size bed concealed behind the cherry wood paneling. Your bed is ready. 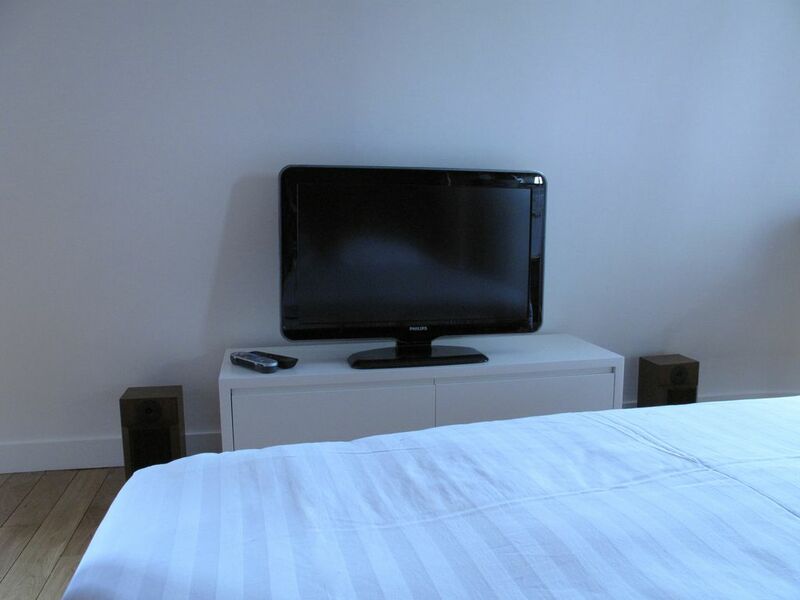 You will appreciate the quality 100% cotton satin sheets and 100% latex mattress. 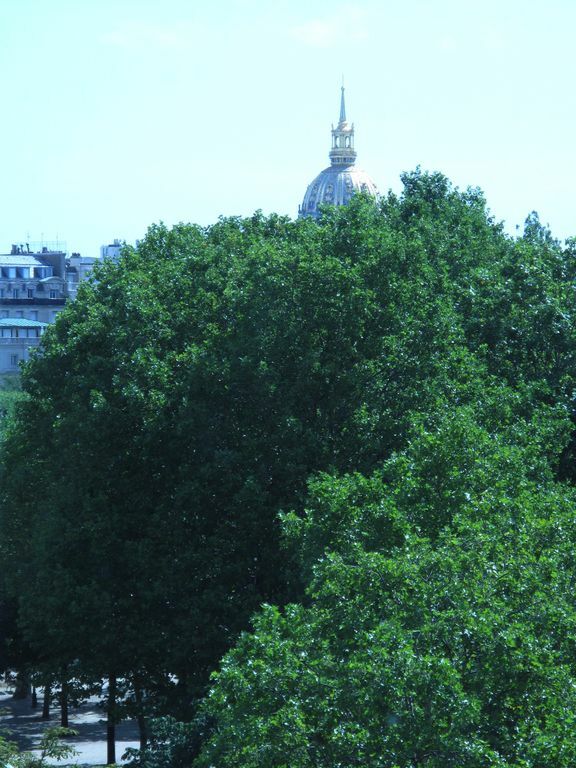 From this cozy nest, admire the view out of the window and beyond the trees, the golden Invalides dome which hosts Napoleon tomb. 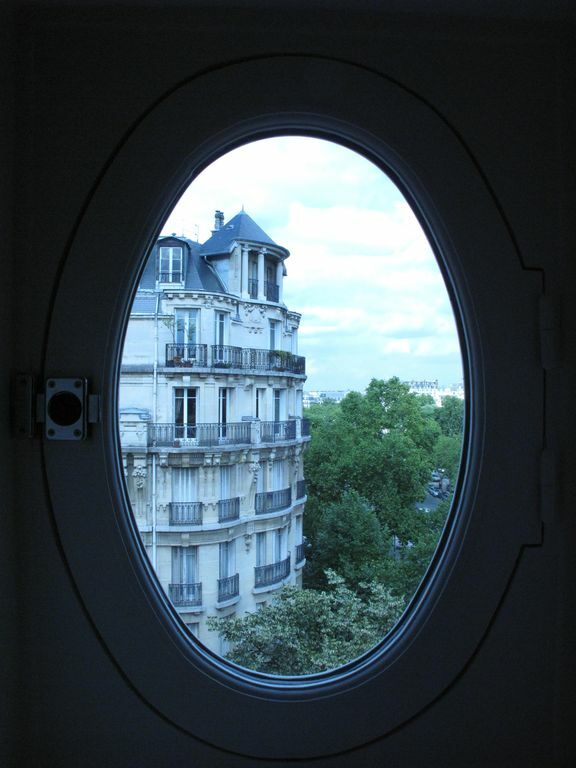 From every French style window, you have an open view of the so typical elegant dressed stone buildings of Paris. This spectacular view (especially the Eiffel tower at night when the light display starts at the hour, every hour !) is one you will remember long after your stay. You feel hungry ? Go downstairs. It will not take more than a minute to find everything :camembert or any of the 500 French cheeses from the cheese shop , where the owner can advise you about what cheese is best for you, a “baguette” from the next-door baker, fresh fruits and veggies from a green grocer, meat from a butcher or seafood at the fishmonger or any groceries you need at the always open grocery store. Wine and liquor? “NICOLAS”, one of the best French wine stores, located just across the street will give you excellent advice on how to combine food and drinks. Or just pick one of the many restaurants in the neighborhood offering French and international cuisines. To start your day, consider a walk to “Le village Suisse”. This site, which has served as a center for antique dealers since 1900, currently features over 150 different merchants. Museums within a 5 to 25 minute walk include : Rodin, Orsay, Branly, Grand Palais, Petit Palais, Palais de Tokyo, Orangerie, Jeu de Paume, Louvre, Maillol, Trocadéro. You love French cuisine why don't you consider cooking lessons at the world wide famous CORDON BLEU cooking school, 20 mn walk from the apartment. If you do not feel like walking or taking a bus or Paris’s historic Metro, rent a bike from the “Velib” station in front of the building. 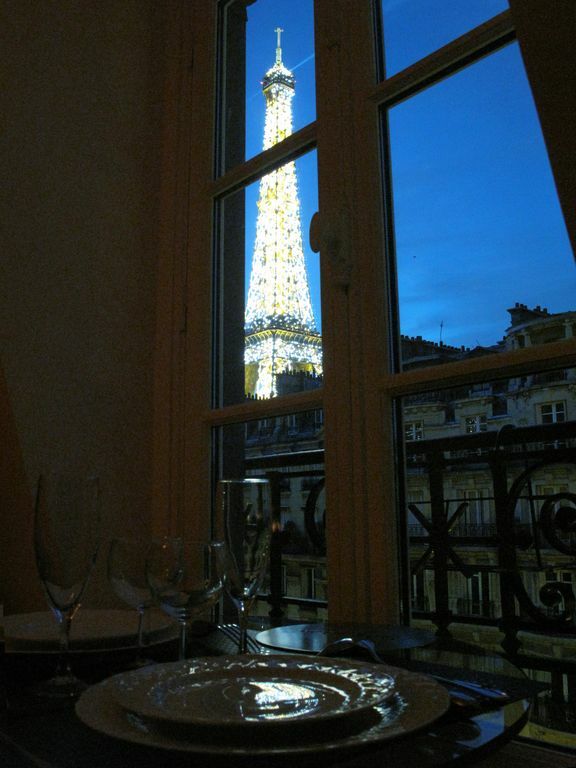 A two minute ride will bring you to the Invalides or Eiffel Tower where, if you were wise enough to make a reservation weeks ago, you could have an unforgettable meal at Alain DUCASSE’s Jules Vernes restaurant on the second floor of the tower. 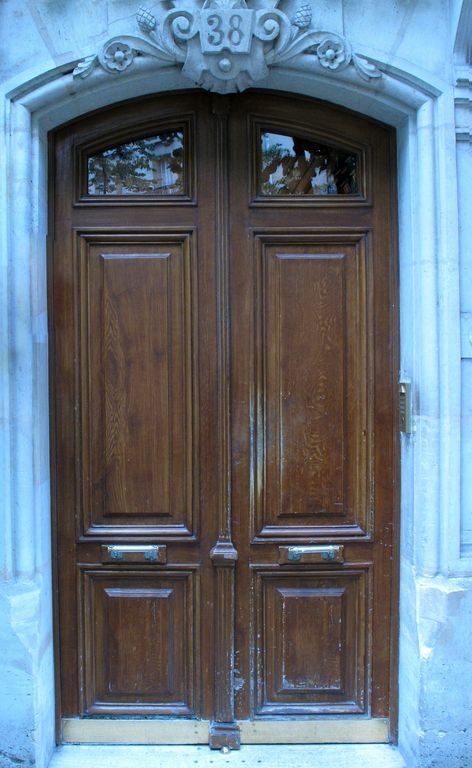 Or in five minutes, following in President OBAMA’ steps, you can experience “La fontaine de Mars”, a very old Parisian bistro, which specializes in hearty Southwestern cooking (foie gras, magret or confit de canard…). Should you wish to prepare your own meal, return three blocks to rue Cler, one of the best and most famous and vivid 3 or 4 pedestrian streets for food in Paris. Back “home” why not relax at the corner Thai spa or beauty salon and finish your shopping at the two duty free shops… or select among the various neighboring French and exotic restaurants. 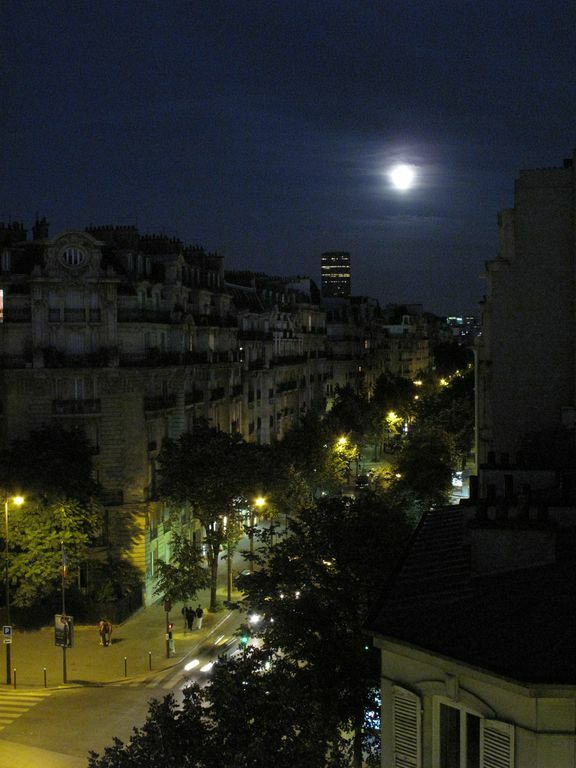 The area is very safe and considered one of the best in Paris. Whether you are on vacation or on a business trip, it really is a spectacular sight to stroll or jog around the Champs de Mars and in one glance view Trocadero, Eiffel Tower and Ecole militaire. Last but not least, this is a fantastic value when compared to staying at a three star hotel, not to mention having to get breakfast and meals at restaurants. 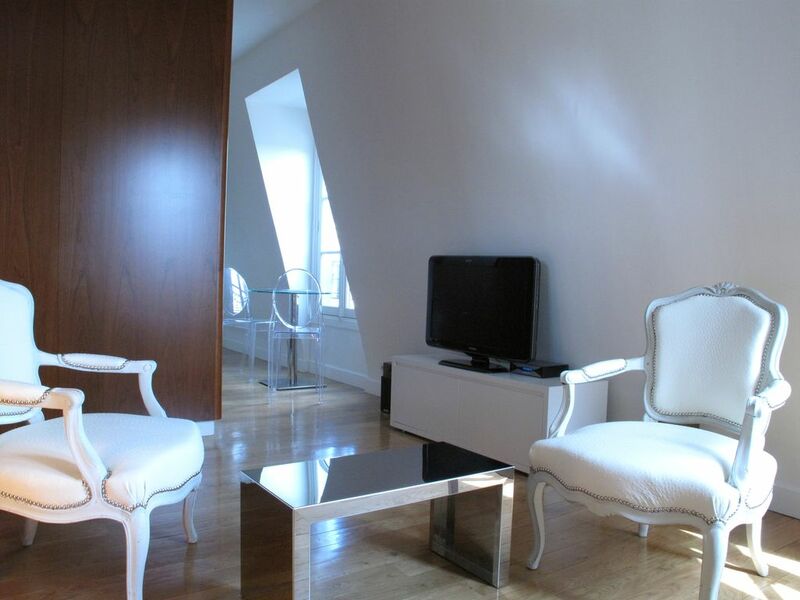 Keywords: Apartment with Eiffel Tower View. 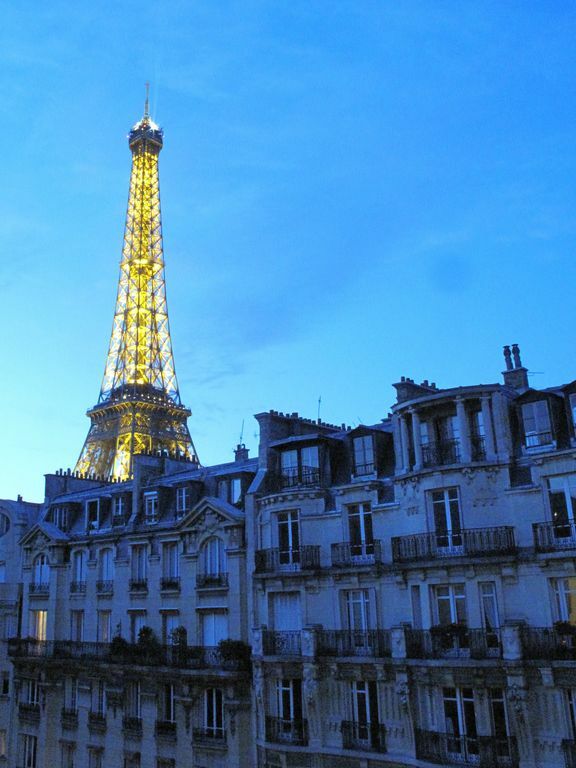 Above the typical Paris tin roofing, you can see the Eiffel tower from first level to the 324 m high top. 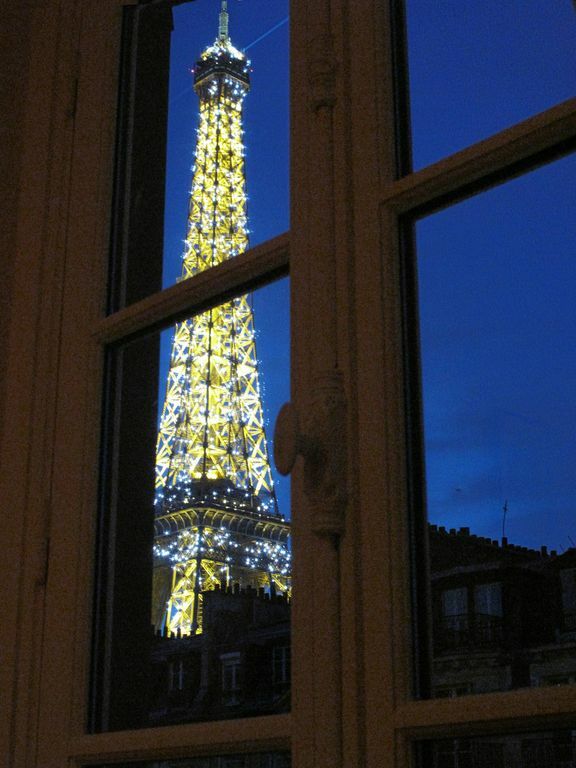 Best of all the Eiffel Tower is a hop, skip and jump from your door, which makes for a perfect, romantic evening stroll. Rue Cler, one of the best and most famous and vivid 3 or 4 pedestrian streets for food in Paris.